Presently with over 150,000 square feet of facilities in 9 locations, Ronald Lane Inc.has serviced the oil & gas industry in West Virginia and surrounding states since 1979. At Ronald Lane Inc., we approach our horizontal directional drilling (HDD) and conventional boring jobs with the upmost safety and care. Our business value system is the same as our family value system. We believe in honesty, respect, and doing the job right. For more than 37 years, Ronald Lane Inc. employees have valued safety as the number one priority for any job, no matter project size or scale. 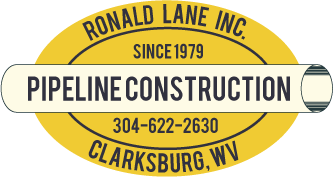 Ronald Lane Incorporated is a turn-key pipeline contractor located in Clarksburg, West Virginia. Since 1979, Ronald Lane Inc. has grown from a small proprietorship to a corporation with a focus on safety, environment and quality during each and every job. Despite our growth, Ronald Lane Inc. has never lost sight of being a family owned and operated company-and that’s what our clients like most about us. Being a close-knit family owned business means our employees take personal pride in our clients’ work, and this commitment to excelling has allowed us to meet each and every deadline for the past 37 years. When you work with Ronald Lane Inc., you get the reliability of a turn-key business with no subcontractors. Our turn-key services, listed to the left, are the best in the pipeline industry in the Marcellus Shale and Utica Shale territories.